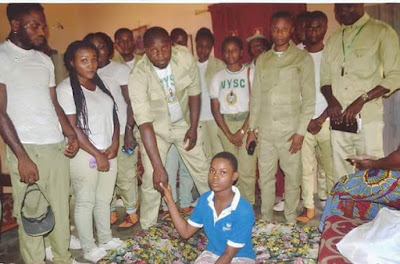 In line with the community development service objective of the NYSC scheme, corps members serving in Nkanu West Local Government Area of Enugu State have donated a huge sum of money to a 14 year old girl, Chinaza Nneji, whose leg was amputated and the other fractured, as a result of a road traffic accident. 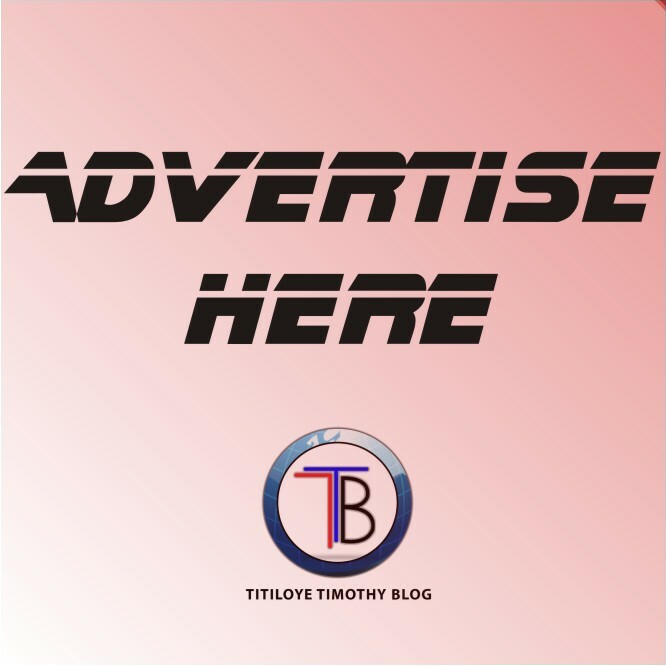 According to the CLO of the LGA, Gimba Bulus, Chinaza was run down by a bus on her way home after being sent away from school for not paying her school fees. 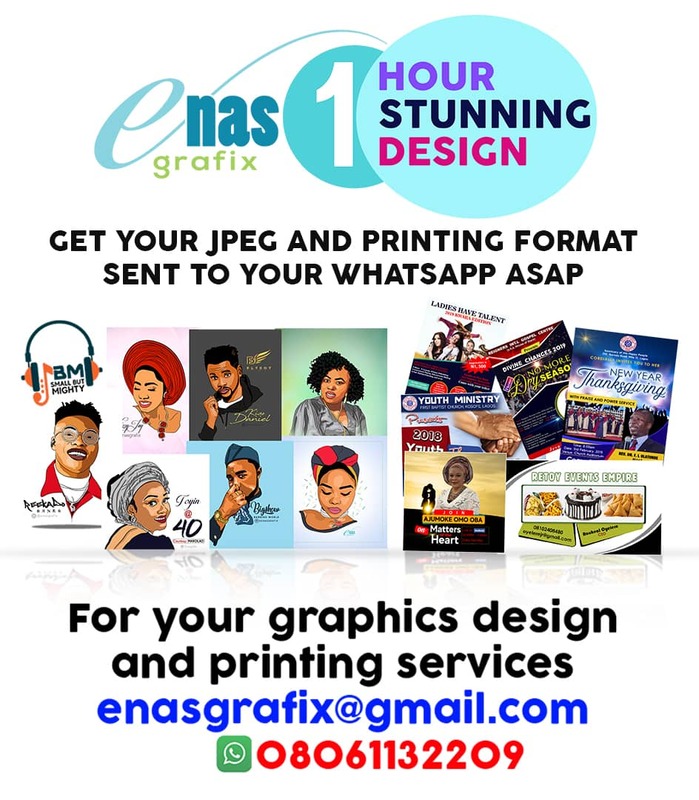 The young girl, who recently lost her father is said to be bed ridden even after the family spent a huge amount of money to treat her. 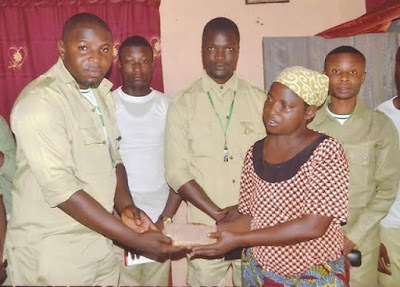 The Corps members while presenting the money to the mother of the girl Mrs. Josephine Nneji, appealed to philanthropists, public spirited individuals and members of the public to come to the aid of the girl to enable her procure artificial leg and get back to school.